Commerce Secretary Wilbur Ross wants Americans to know they'll be just fine if President Trump imposes sweeping tariffs on US allies. Ross said the Trump administration has a lot of problems to solve with trade, such as a trade deal with Canada and Mexico, or China selling too much steel around the world. "We're going to get them solved without blowing up the world," Ross told CNBC Wednesday morning. Ross' comments come as Trump plans to impose a 25% tariff on steel and a 10% tariff on aluminum. But it's still unclear which countries will be subject to the tariff. 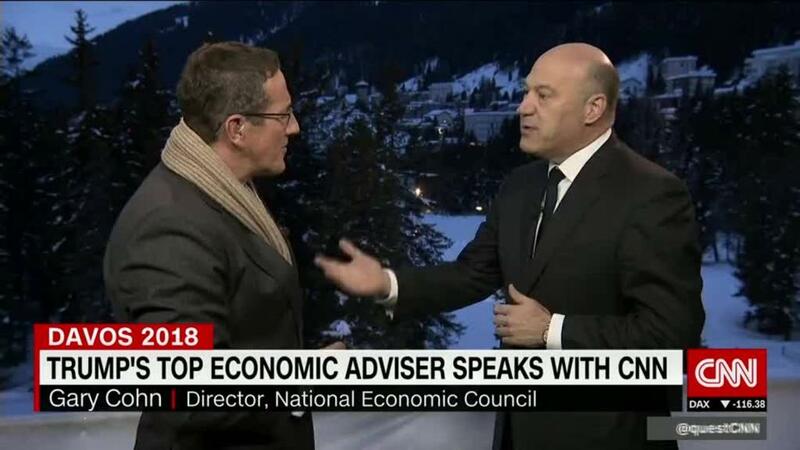 Ross also spoke the day after Trump's top economic adviser, Gary Cohn, announced he would resign. Cohn was deeply opposed to the tariffs, and Wall Street believed he was a moderating voice on the White House's economic policy team. Global markets went into the red Wednesday on news of Cohn's resignation. A trade war has been investors' simmering fear since Trump took office. Ross said Wednesday that Trump will take a "surgical approach," on the tariffs but moments later said only Canada and Mexico could possibly be exempt from the tariffs. The Trump administration has said the exemptions would be contingent on Mexico and Canada agreeing to US terms on NAFTA, the three-nation trade pact that all three sides have been renegotiating since August. Trump is explicitly using the threat of tariffs as a negotiating tactic. "We are trying to do a surgical approach," Ross said. "If we can work something out with Canada and Mexico, they will be exempted. It's not inconceivable that others could be exempted on a similar basis." Canada, Mexico and the European Union have all said they will respond to US tariffs in one form or another. After seven months, the NAFTA talks have not borne progress on the most divisive issue, auto manufacturing. Most trade experts say a final agreement won't be reached until 2019, long after Trump's tariffs would be imposed.